Get them while you can, because they're Going, Going, Gone! It's time to make room! Our new catalog is launching in March, which means we have to say goodbye to some of our favorite wraps so we can introduce some new ones. 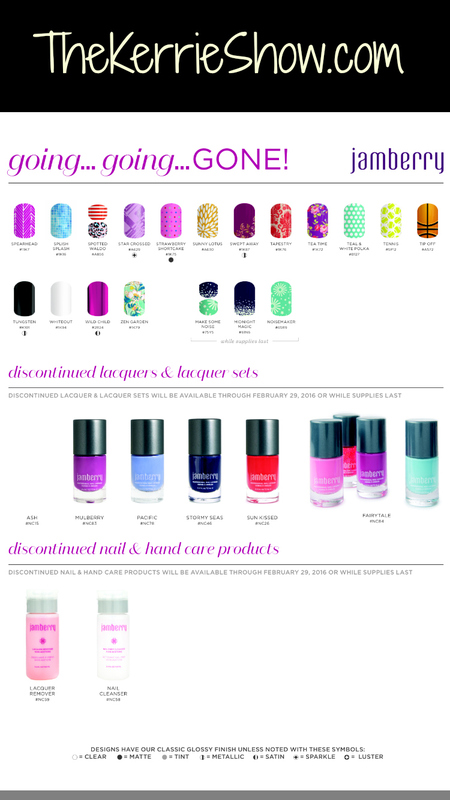 Our Going, Going, Gone (GGG) products will only be available until February 29, so get them while you can — because once they've retired, they're gone forever. Here's the deal, though. I chose to go from Professional Consultant with Jamberry to Hobbyist, which means I don't have a team and I don't have a website you can order from. 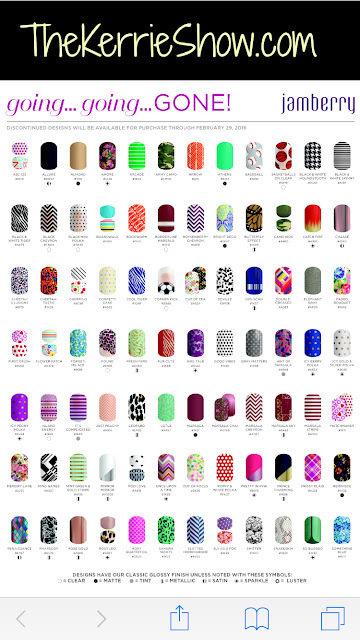 If you need any of these discontinuing wraps, please email me at mommykerrie@yahoo.com and let me know which ones you'd like and we can arrange payment via PayPal or Square. I always am sad to see them go and always grab up my favorites! Don't forget to come see what I'm doing over at Catholic Hippie Mom!